Second card I picked from Erin's project. 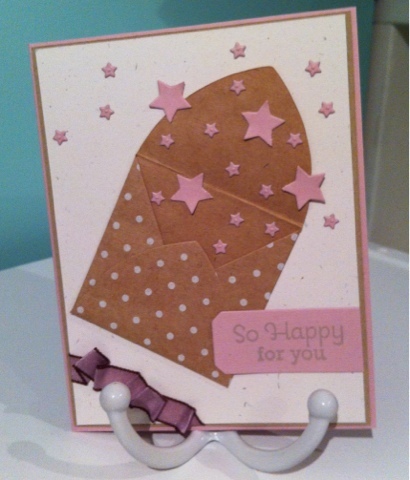 I liked the card with lavender moon and stars. I need to use this colour more often!! I used the super star border die, and the little ones are the middle of the stars. I put a strip of scor tape on the back before I ran them through my big shot so that I could adhere them easier. A little snippet of ribbon tape to the bottom...wish I had a stapler. I love the use of the envelope with the sprinkle of stars falling out of it...really lovely. 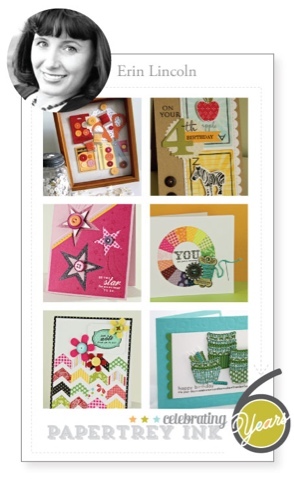 I think the colors are lovely together and it's a wonderful interpretation of Erin Lincoln's card. Thank you so very much for visiting my blog.